Manchester United midfielder Morgan Schneiderlin has admitted that the amount of playing time he has gotten at Old Trafford since moving from Southampton in the summer is not what he is used to, but admits he is happy even if it means spending more time on the bench. The 25-year-old defensive midfielder has started seven games for the Red Devils this season, but found himself on the bench for last weekend 3-1 loss away to Arsenal, with manager Louis van Gaal opting to play the highly experience Michael Carrick and Bastian Schweinsteiger. 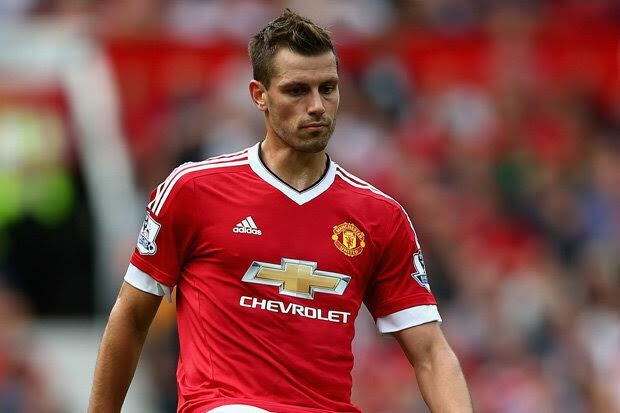 Speaking ahead of tomorrow’s French international against Sweden Schneiderlin said: “I have played a lot of matches. “The coach made a lot of changes in attack and even in midfield and you have to get used to it. Schneiderlin then went on to talk about his 19-year-old teammate Anthony Martial, reassuring fans that he is not affected by the big star status. “He is the same player in Manchester as he is here, he has the same qualities.